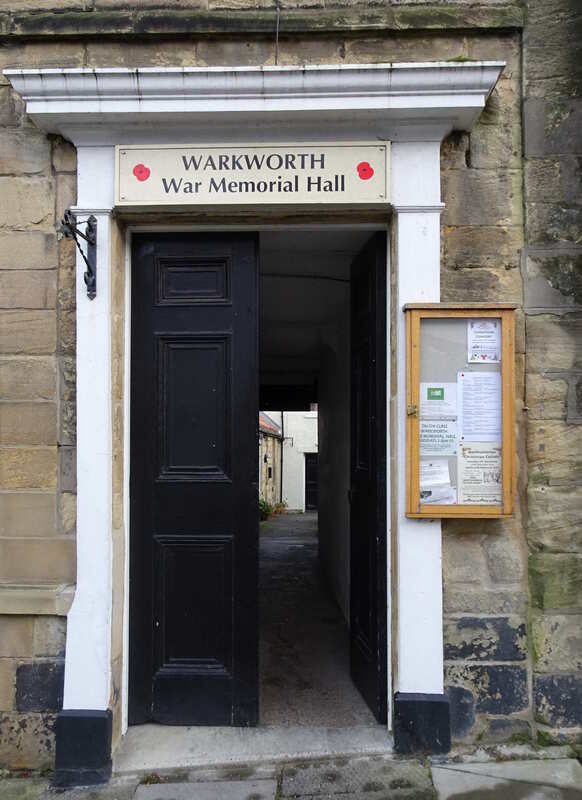 Available for hire for recreation, social and fund raising events, craft fairs, local societies, wedding receptions and family gatherings, the Warkworth War Memorial Hall can accommodate groups from 5 to 140, 7 days a week. It is managed as a charity for use by local inhabitants without distinction of political, religious or other opinions. The more formal document defining its purpose and ongoing management is described in the Scheme (pdf), overseen by the Charity Commisioners for England and Wales. For further information about the area of Warkworth and local activities/events see Welcome to Warkworth. The main hall is unlikely to be available during August 2019 as it undergoes refurbishment. It will suffer a little before then as various other changes take place. With support from the Parish Council, the old warm air heating system has been removed. As this has been out of service for many years, it does not affect heating within the hall. Its removal has left a couple of unsightly areas which will be tidied up, but full and proper decoration will not take place before August. With generous assistance from the National Lottery Community Fund, we will be updating the lighting, improving insulation, re-decorating the hall and purchasing some new/additional chairs. We also plan to have a small AV cupboard at the rear of the hall to make it easier for those wanting to play video or audio. This web page will be updated as we make progress on the above.